I’m beginning to think that there isn’t anything the little Mitsubishi Evo X can’t do. It’s fun, it grips, it’s loud, it’s super old and they’re still selling it! In 2017 they are still selling a 2015 Evo. That’s so novel! Recall that the Evo has four cylinders, four doors and five speeds. Normally, it’s a fine and nice car to own. But then the tuning people at Extreme Turbo Systems and English Racing got their hands on one and all decency was lost. 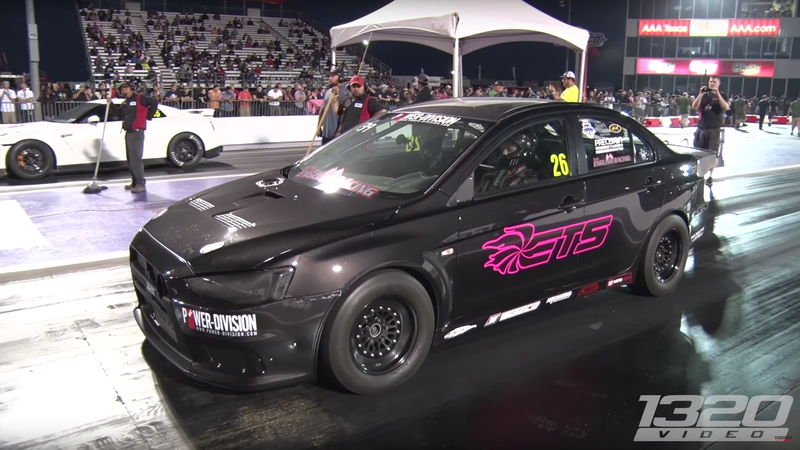 This Evo now has a quarter-mile time of 8:48, which still makes it an eight-second car (I know, quarter-mile times are weird). 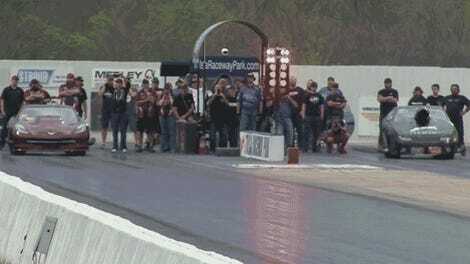 This, our friends at 1320video claim, is an Evo X quarter-mile record. The Evo’s horsepower, however, remains unclear. I’m gonna guess a million. A million horsepower.